On behalf of everyone at KXTV ABC10 we are excited to share with you the opportunity to help in the fight against childhood cancer! We ask you to join us in the St. Jude Dream Home Giveaway for the kids of St. Jude! 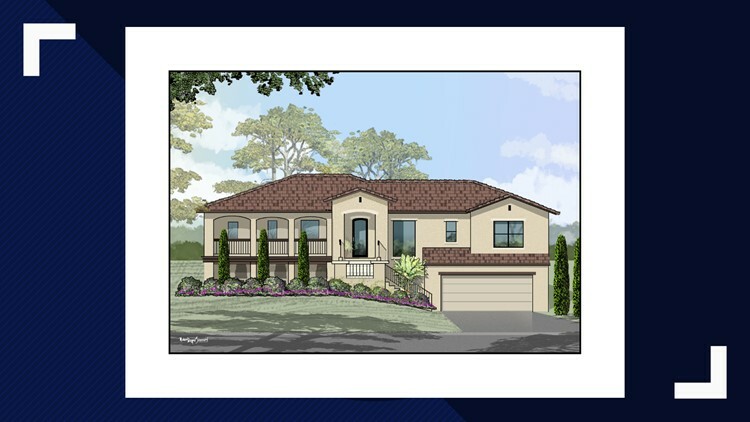 The St. Jude Dream Home Giveaway house is in construction by Turn Key Construction Group, Inc. This beautiful house is located in Cameron Park, CA and has an estimated value of $535,000. This brand new house features 3 bedrooms, 2 bathrooms, and approximately 2,100 sq. ft.
Visit a participating Patelco Credit Union in Sacramento, Citrus Heights, Elk Grove, Folsom or Roseville. Click to download and mail this form. California state law prohibits the sale of raffle tickets online. As an additional incentive, everyone who reserves a ticket by Friday, May 3, 2019 will be eligible to win a 2019 Jeep Compass Sport, courtesy of Hoblit Chrysler Dodge Jeep Ram! Click to learn about about all Dream Home prizes when you reserve your ticket early! Only 10,000 tickets will be sold in hopes of raising $1,000,000 for St. Jude Children's Research Hospital. Tickets are selling fast so reserve today! Thank you for supporting the kids of St. Jude and the fight to end childhood cancer! You could win a house. You will make a difference. Giveaway is conducted by and benefits ALSAC/St. Jude Children's Research Hospital®. St. Jude's audited financial statement is available upon request to St. Jude by calling 1-800-822-6344 or by email at annual.report@stjude.org. Your payment may be deducted under Federal and State income tax laws only to the extent that it exceeds the cost of the tickets you purchase. Void where prohibited by law. CA #R-0061.